Looking for an easy way to implement cross device tracking for all visitors? Learn about the new native feature to Google Analytics that allows this – no development required! By now you are likely well aware of the reality that users bounce between devices to complete their purchase. I do it all the time as a shopper: receive an email from a brand about a promotion => take a quick look on my phone => and then later at night pull them back up on my laptop to finish my purchase. But if you’re like the majority of eCommerce stores, your % of users that log in to an account is < 5% of all users. That means that 95+% of potential customers browsing your store aren’t tracked across devices which makes marketing analytics decisions very difficult. 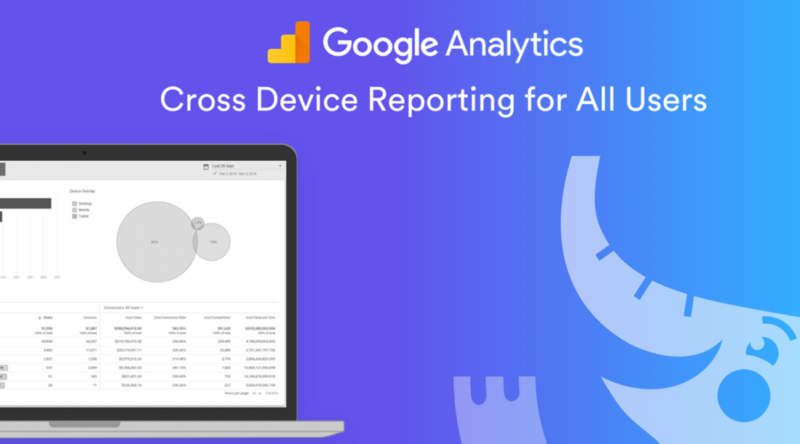 Google Analytics just announced this new feature in beta that allows for cross device reporting for all users – regardless of they are logged in or not. How does Google do it? Well – consider the total amount of users that are cookied or logged into a Google Account on their browser, use Youtube, etc. Analytics observes behavior on a site by users who have signed in to one of their Google accounts (e.g., Gmail, Google+, YouTube) and who have turned on Ads Personalization. Analytics uses that observed behavior to develop the data models on which the reports are based. Pretty awesome if you ask me. If you aren’t looking for precision then this removes the need for a complicated userID implementation on your site while allowing you to take advantage of cross device insights. According to Google, to use these new Cross Device features, start by visiting the Admin section of your Analytics account and choose the setting to activate Google signals. This feature will be rolling out over the next few weeks so if you don’t see this today then you should soon! Brad, thank you for your summary of this new, much-needed enhancement for Google Analytics. 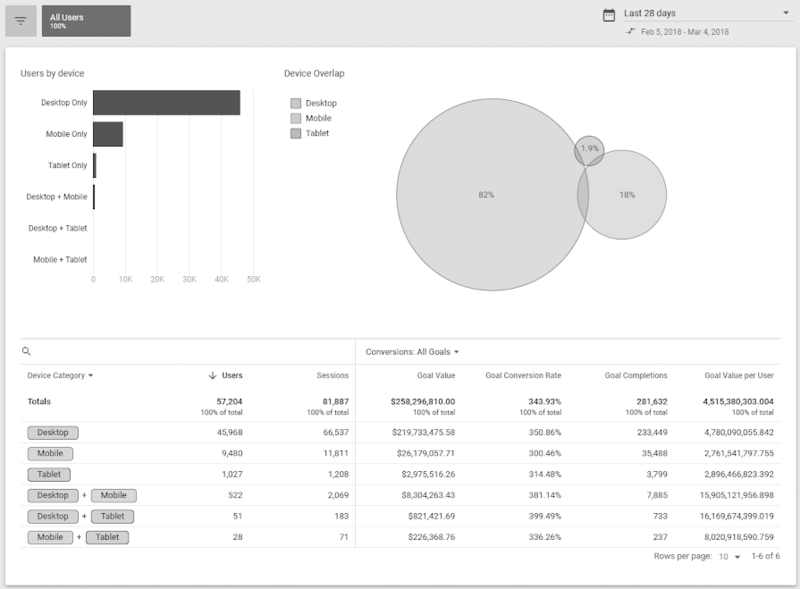 Is this cross-device data capture and reporting capability reflected in the Multi-Channel Funnel reports? Can I now create a custom dimension with Client ID (or some other unique user ID) that is user-unique for across devices and browsers (at least for those that have Google accounts)? Do Google account users have to be actively signed in…or is it for all users who have ever signed into a Google account? Is there an average percent of site visitors that this would cover? Much appreciated, Karl Lendenmann, Ph.D.
Brad, is this feature only for Google Analytics 360 instances or also for basic Google Analytics instances? Hi Karl, this will be for all GA instances as far as I’ve read on the rollout! I’m not sure if this is included in the MCF reports, I believe they will be separate. Regarding the client ID – you can set this up now if you’d like (and not have to wait for this new rollout from Google). If you’re able to set this based on users logging into an account then you’ll be able to track across devices without having to worry about this new modeling rollout from Google for guest users. I’ll try and chase down answers to your questions regarding the specifics of the feature (logged in, etc).